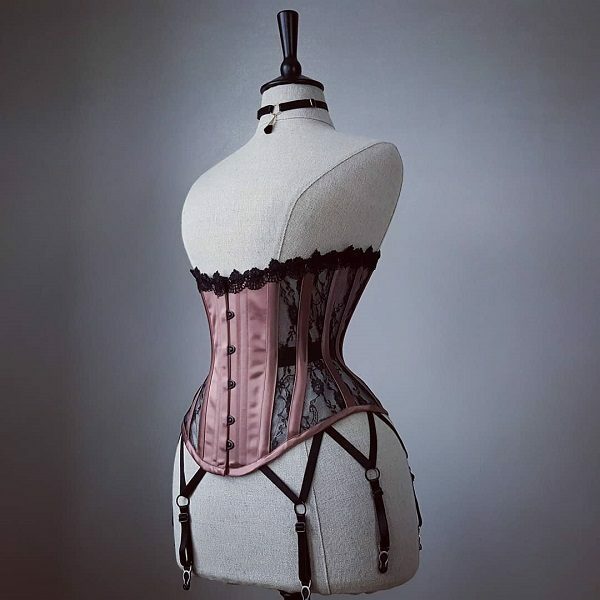 A luxuriant and seductive 12 panel underbust corset in sheer mesh with black lace panels, black lace trim and silk satin flourishes with a custom colour option available! See full listing for details. 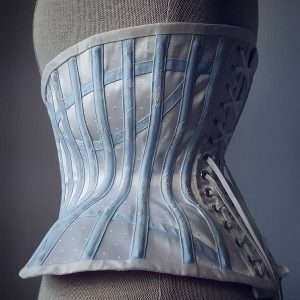 We suggest you select a size 6" smaller than your natural waist size for your custom corset. 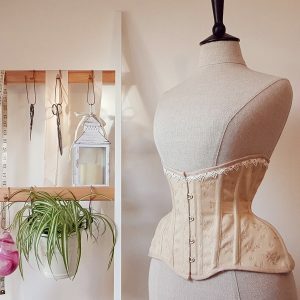 This will be worn with a 4" waist reduction and a 2" gap for tension. 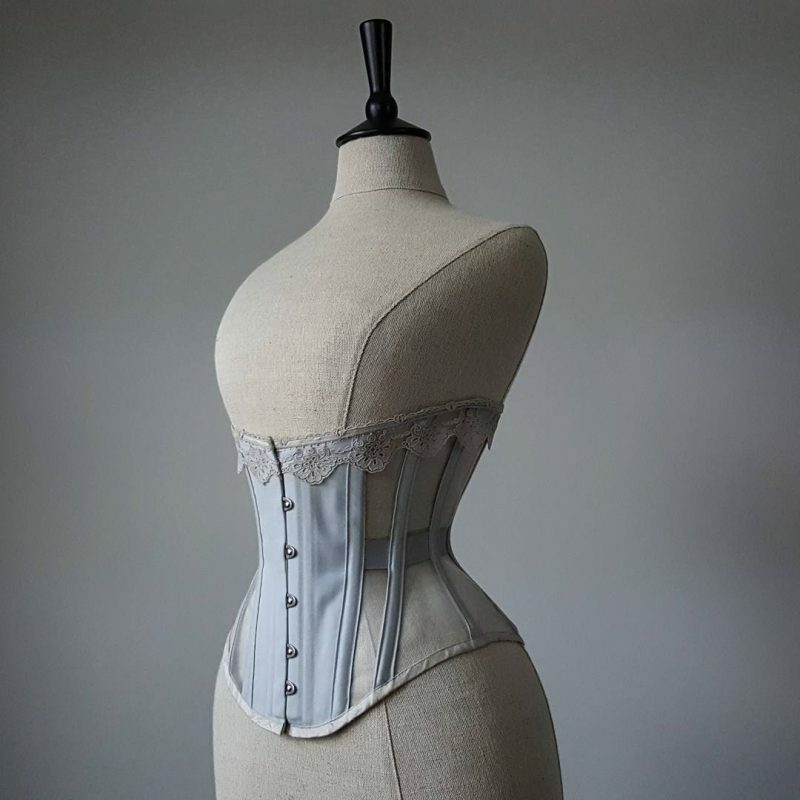 Natural Waist Size 24" 26" 28" 30" 32" 34" 36" 38"
Waist Reduction Size 20" 22" 24" 26" 28" 30" 32" 34"
Corset Size 18" 20" 22" 24" 26" 28" 30" 32"
Each Perle Luxe underbust is handmade in England using high quality materials such as traditional herringbone coutil, decadent silk satin and delicate lace. 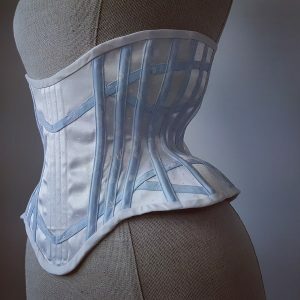 We create each corset to your specifications so a dedication to a beautiful finish is assured. We are happy to discuss any customisation you would like to add. At this time we are only able to offer this style of lace fabric in black but other styles are available upon request. 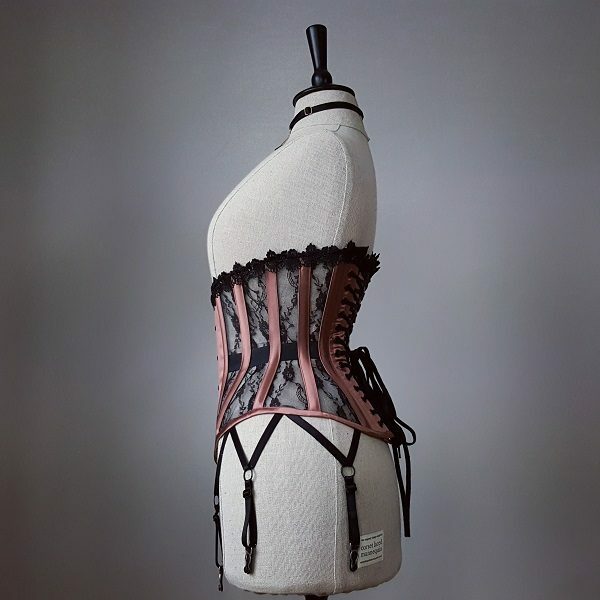 As all our lingerie is made to your specifications, please allow up to 4 weeks for us to make your garments. If you require us to meet a deadline please get in touch before you place your order. 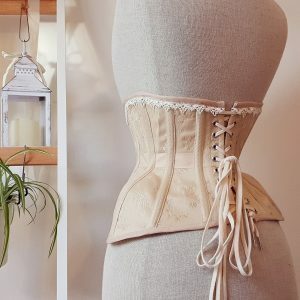 The Perle mesh corset is intended for waist reductions of up to 4″ and is not recommended for regular waist training, though please contact us if you’d like something designed for this purpose. 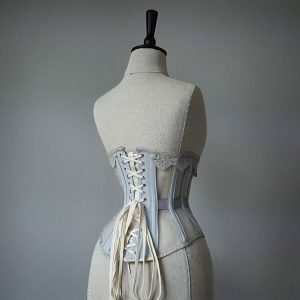 We generally suggest you buy a corset 6″ smaller than your natural waist size- this accounts for a 4″ reduction and a 2″ lacing gap, the chart at the top of the page may help you choose your size but please contact us with any questions you have. A traditional busk fastening in your choice of silver or gold with a sturdy bone to support it (underbusk) which helps to smooth the stomach. A minimum of 16 spring and spiral steel bones. Finest quality two part eyelets and cotton lacing. Front modesty placket and a boned modesty panel suspended behind the lacing. Sturdy coutil front and back panels and boning channels with silk facings. A seam free interior for comfort.